The CBC's Fan Choice Contest invited readers between the ages of five and 12 years old from across Canada to cast a vote for the book they thought should win the TD Canadian Children's Literature Award — Canada's richest prize for kids lit. 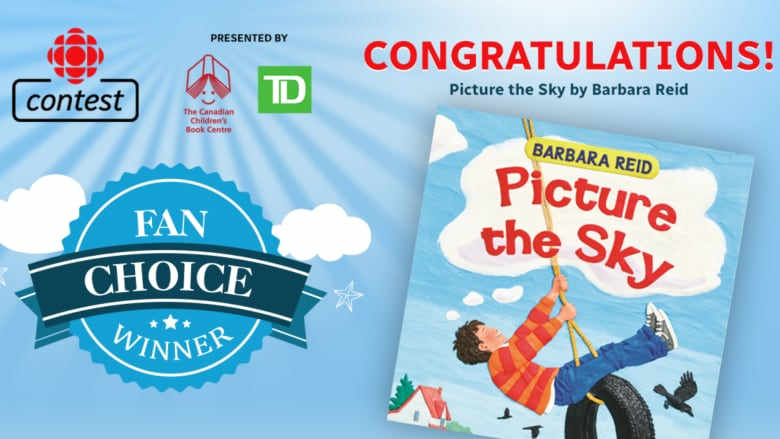 The book that received the most votes was Picture the Sky by Barbara Reid. Reid was crowned the Fan Choice victor at the Oct. 29, 2018 Canadian Children's Literature Awards where more than $95,000 in prizes was awarded to children's book creators. Hamza Khan, an 11-year-old student from Toronto, Ont. was randomly selected from among Fan Choice Contest voters to receive a school visit from one of the TD Canadian Children's Literature Award finalists, copies of that creator's book for students in their class, a $2,000 donation to their school library and $500 spending money. The $50,000 TD Canadian Children's Literature Award for 2018 was presented to Joanne Schwartz and Sydney Smith, co-creators of the picture book, Town Is by the Sea.